5-9/16 inch Safety Yellow High School Football Goalpost.. These quality football goals are built to last! Single slingshot design gives your field the profess..
Soc/Football Anchor Kit 5-9/16 inch.. 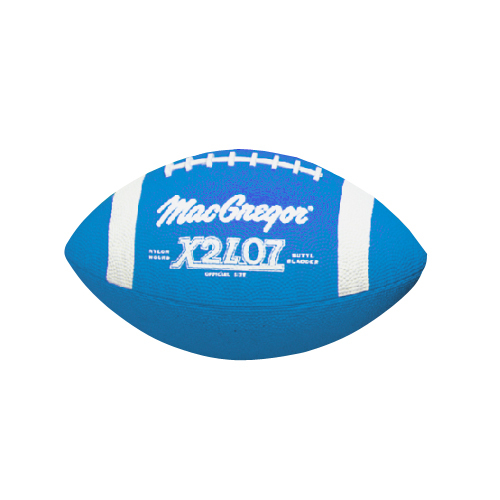 Youth size and weight rubber football (ages 12-14)Pebble grain exterior for ball controlWaterproof f..
High impact foam covered with Gold 18 oz. vinyl Folds in half Handles included for ease of.. Saves modern track materials from damaging football cleats and other traffic.This easy-to-install te..
Made of stretchable nylon and quickly lips over any football helmet to help distinguish different te..
All steel powder coated modular frame construction allows you to add or remove a man from the sl..
TOE-TAL 4 IN 1 KICKING TEE.. Rigid base design increases strength and stability 4 heavy duty swivel casters for easy movement ..
Max-1 All Aluminum Football Goal Post - College .. 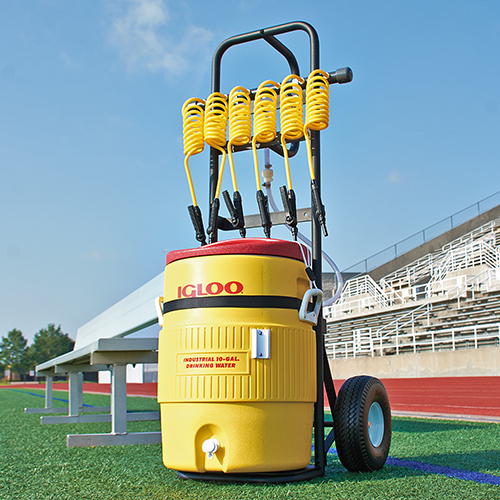 Heavy duty cart designed to easily transport football sideline equipment J-Hooks and strap to..
• Add ice to the 10 gallon cooler, attach hose and crisp cool water is available• Copper.. Essential protection for athletes with braces Specifically designed to conform to upper brace bra..
ColorRoyalSize3XLWarranty:01 Year(s)Unit or Package:EADelivered by:Small Package Carrier..
MacGregor rubber-covered footballs with nylon windings and butyl bladder construction. Pebble grain ..
H.S. Football Goalposts with 20 foot Upright - White.. Designed to outfit two teams of twelve players. Set includes 24 belts with flags, two storage ..